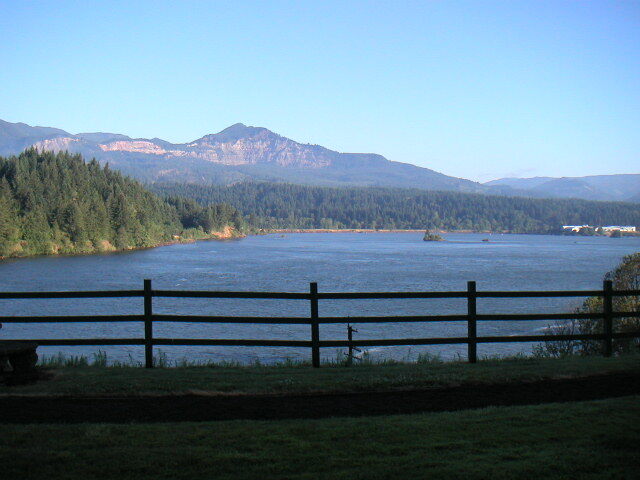 I have been in the Columbia Gorge since yesterday attending a conference. I snapped a couple of photos from my hotel room. 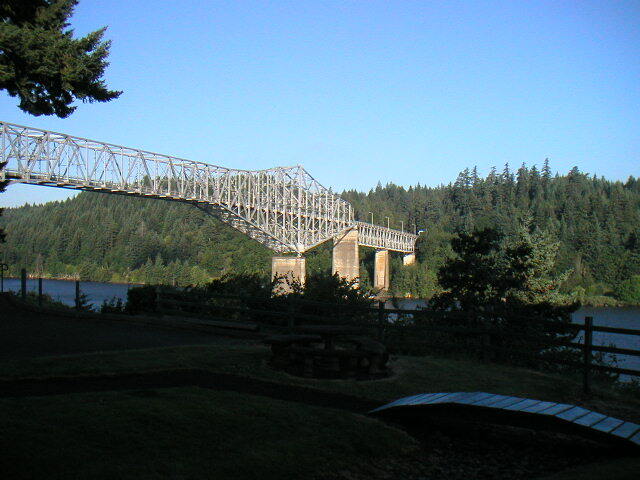 The first photo shows the Bridge of the Gods, which you cross to go from Oregon to Washington. The other just shows the gorgeous view. I also managed to start the tank last night after all the workshop sessions had ended. 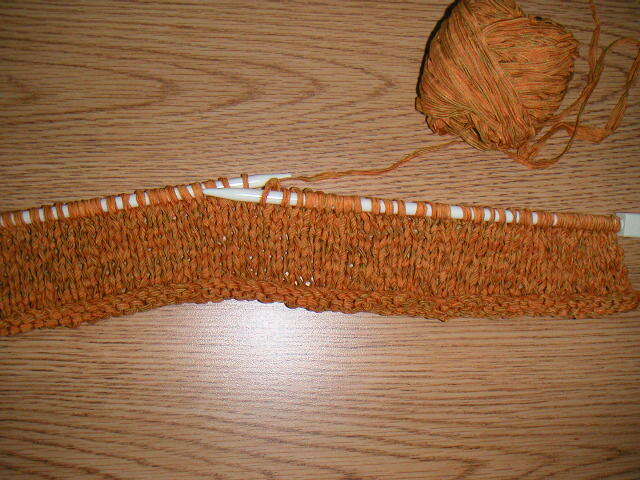 I originally started to make a medium size tank, but the ribbon yarn creates such a stretchy fabric that I decided to frog and start the smallest size instead.